​Recently a group of us went downtown and participated in a game where we were locked in a room, given a couple clues, and asked to figure out how to escape the room in order to break free (yes, we actually paid our own hard-earned money to be locked away). As we solved certain clues, more rooms and details were opened up to us. We had one hour to solve the mystery and break out of the final room. If the group was successful at beating the game, we would be given a sticker and the right to purchase a shirt that said “I Escaped!” on it. If not, each member of the group would receive a sticker that said “I Almost Escaped!” on it. Before our team started the game, we were able to see several teams come out of their game room. Some were celebrating in jubilation while others seemed bummed out that they didn’t have enough time, clues or the ability to beat the game. 1. 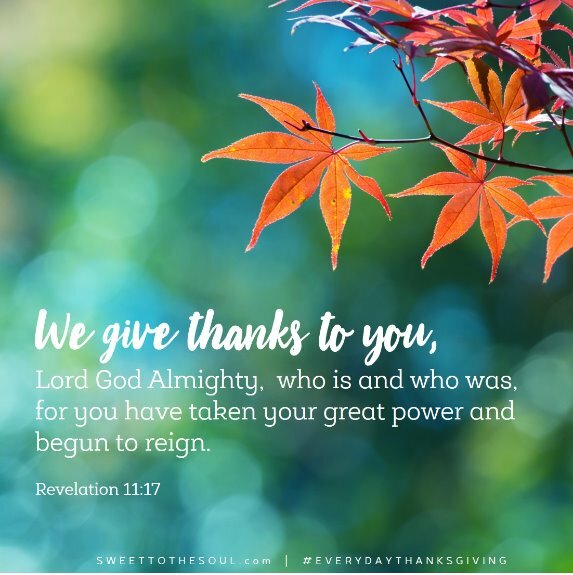 We can start by making a list of our daily gratitude, all while thanking Him for His great power, His righteousness, His fair judgement and His gracious love and reward for those who serve Him. 2. We can speak our gratitude aloud, confirming for ourselves and for others that we are indeed full of joy. When others see or hear joy in our lives, they too want to possess that same lifestyle. They begin to seek after it, and a change of heart starts to take root. Bitterness is overcome with thankfulness and gratitude. 3. We can read and reread the book of Philippians as a reminder to be grateful and thankful. The Apostle Paul says in Philippians 1: 3-5 (ESV) “I thank my God in all remembrance of you, always in every prayer of mine for you all making my prayer with joy, because of your partnership in the gospel from the first day until now.” The Apostle Paul, from a prison cell, expresses his gratitude toward this particular church. For as the seven churches are mentioned in the book of Revelation, the church at Philippi should be the church that we desire to model ourselves most after. 4. We can pray for eyes to see all that we are blessed with. Sometimes, quieting ourselves before the LORD and praying for proper perspective can immediately usher in an attitude of gratitude. 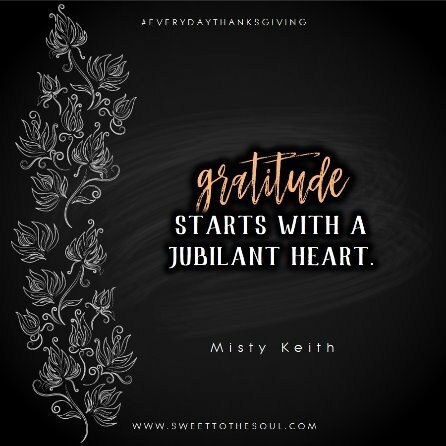 This month, as we continue to focus on #EVERYDAYTHANKSGIVING, let us set in our hearts a reminder to not just be grateful during the month of November, but to be thankful year round. A jubilant heart, an attitude of gratitude, and a hallelujah does not need a specific time of the year or a season in life to manifest. All is needed is a person willing to participate. Such truth here! And, I'd love to do that escape room sometime!! Blessings! Misty, Indeed, every day is Thanksgiving for the Christian!